Michael Jordan's got his own steakhouse. So does Mike Ditka. And Brett Favre. And so will every athlete one day, probably (even your old Little League teammate, Chris). But now, a whole new type of celebrity is getting in on the restaurant game: the 8-bit pellet-eating video game character kind. 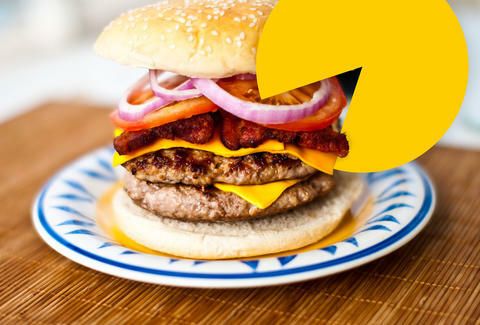 Because Pac-Man is getting his own restaurant. It's called Level 257 (named after a secret glitch level that's impossible to reach), and it'll be opening in Schaumburg, a suburb of Chicago, sometime in January of 2015. The American division of Namco Entertainment Inc., which owns Pac-Man, has revealed that the joint will be 40,000sqft and will contain table tennis, 16 bowling lanes, pinball machines, and -- DUH -- an arcade area. No word yet on whether they'll also serve assorted fruit, but one fixture on their menu is certain: PIZZA. For now, though, we'll have to take solace in the fact that they most likely won't make us dodge ghosts to get a burger. Adam Lapetina is a Food/Drink staff writer for Thrillist, and really hopes they don't make a Centipede restaurant because that would be terrifying. Read his musings at @adamlapetina.